Fresh and lemon-like, with a hint of rose fragrance. See also lemon myrtle on lemon fragrance. The essential oil of lemon grass (0.2 to 0.5%, West Indian lemon grass oil ) consists mainly of citral. 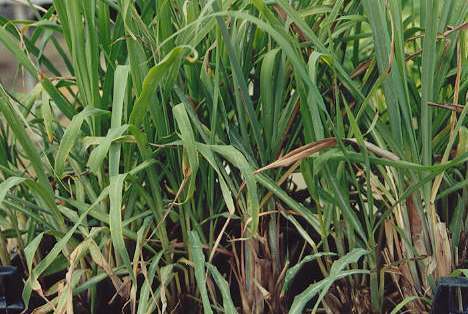 Further terpenoids in lemon grass oil are nerol, limonene, linalool and β-caryo­phyllene. The content of myrcene is low, but still enough to make the oil sus­cept­ible to oxida­tive poly­meri­za­tion. Citral is a mixture of two stereo­isomeric mono­terpene alde­hydes; in lemon grass oil, the trans isomer geranial (40 to 62%) domi­nates over the cis isomer neral (25 to 38%). East Indian lemon grass oil is distilled from a related species, C. flexuosus. It consists of alcohols (20 to 30% citronellol, geraniol) and aldehydes (15% geranial, 10% neral, 5% citronellal). This species is domi­nantly used in the perfume industry as it contains less myrcene and, there­fore, has a longer shelf life. Two further species have con­sider­able rele­vance for the perfume industry: The so-called palma­rosa oil is di­stilled from Cymbo­pogon martini (Roxb.) J.F. Wat­son var. martini (native to India, culti­vated also in Jawa) and contains mainly geraniol (75%) and geranyl acetate (12%). 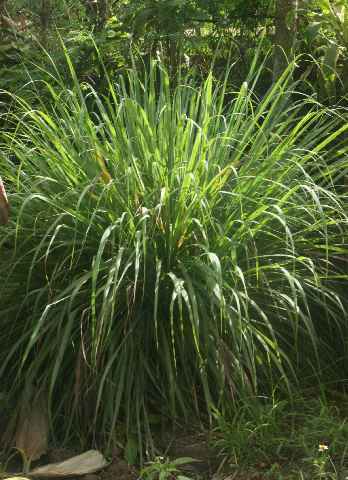 Also worth mentioning is citronella grass (Cymbopogon winterianus Jowitt) which also stems from India, but is today grown throughout the tropics; its main constituents are citronellal (35%), geraniol (25%) and citronellol (10%) plus minor amounts of geranyl acetate (5%). The genus has about 55 species, most of which are native to South Asia, South­east Asia and Austra­lia. 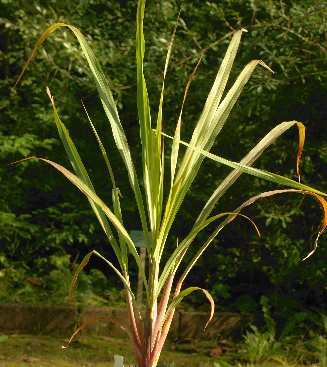 The so-called East-Indian lemon grass (Cymbo­pogon flexuosus [Nees ex Steudel] J.F. Watson) is native to India, Sri Lanka, Burma and Thai­land; for the related West-Indian lemon grass (C. citratus [DC] Stapf), a Malesian origin is generally as­sumed. You might note that the epi­theta East and West are here applied quite randomly. Both species are today cultivated through­out tropical Asia. Although the two species can almost be used inter­change­ably, C. citratus is more rele­vant for cooking. In India, it is culti­vated as a medical herb and for per­fumes, but not used as a spice; in the rest of tropical Asia (mostly South East Asia, more mar­ginally in Sri Lanka), it is an impor­tant culi­nary herb and spice. The botanical genus name Cymbo­pogon is derived from Greek kymbe [κύμβη] boat and pogon [πώγων] beard ; it refers to the boat-shaped spathes and the many-eared inflores­cences which re­mind to a beard. The species name citratus obviously relates to the pro­minent lemon fra­grance of that plant. Similarly, most Euro­pean names of lemon grass are either adapted from local names of lemon (citro­nella) or are com­pounds meaning lemon herb (Finnish sitruuna­ruoho, Portuguese erva-cidreira, Turkish limon otu, Chinese ning meng xiang mao [檸檬香茅] lemon-flavoured plant ) or particularly often lemon-grass (Danish citrongræs, Lithuanian citrinžolė, Czech citrónová tráva, Estonian sidrunhein, Hungarian citromfű). Similar compounds are Russian limonnoe sorgo [лимонное сорго] lemon-sorghum and Spanish te de limón lemon tea . The various names of lemon are further explained under lemon and lime. Arabic hashisha al-limun [حشيشة الليمون] contains hashish [حشيش] grass , which is known as a euphemistic term for cannabis in the West. The arabic name for water pipe , shisha [شيشة], may be related, although others derive it from Farsi shisheh [شیشه] glass in reference to the material the pipe is made from. The latter would be analogous to Persian nargileh (see coconut for its derivation). 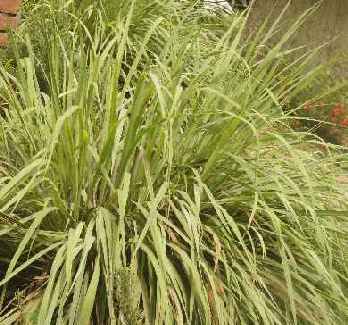 The English word grass and its Latin cognate gramen (from older grasmen) (grass)-blade, stalk can­not be ex­plained easily. It is probably con­nected to an Proto-Indo–European­pean root re­fer­ring to plant growth (GʰREH₂ or GʰRĒ project out, sprout, grow , with grow and green as close English kin); in German, the basic meaning is pre­served in Grat ridge, crest and Gräte fish bone . On the other hand, given the impor­tance of grass as an animal fodder, it is hardly co­inci­den­tal that a similar Proto-Indo–European­pean root, GRAS, means devour, digest (see cress for more infor­mation on this root). The medi­eval English name squinant is a cor­ruption of earlier schoenanth and derives from two Greek words, schoinos [σχοῖνος] rush, grass (see also chives) and anthos [ἄνθος] flower . Another name of that period is Dutch kamelhewe and Yiddish kemlhey [קעמלהײ] camel’s hay which refers to the caravans that transported dried lemongrass on the back of camels from tropical Asia to Europe (spice route). 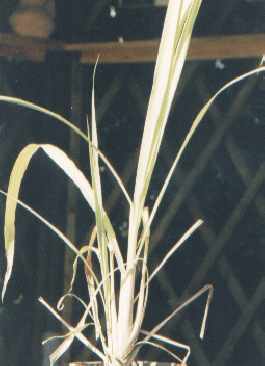 Lemon grass was used for beer brewing (see gale) and preparation of spiced wines. 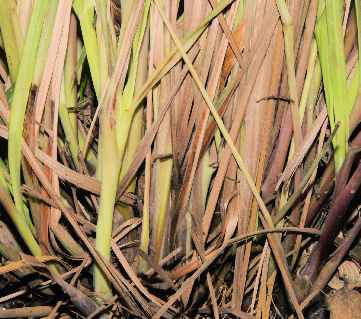 It is an open question whether lemon grass was already known in antiquity, as many aromatics of ancient texts have not yet been identified. A possible candidate is the Biblical qaneh [קָנֶה] which appears to denote a kind of grassy plant or reed; if often occurs in the meaning branch . Yet on some occasions, it is listed among aromatics (e. g., in the Song of Songs) and there are not so many grass-shaped aromatic plants to chose from. 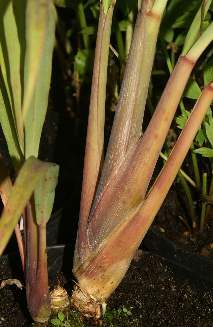 Conservative wisdom has it translated calamus , but lemon grass would also appear a possibility. The fresh taste of lemon grass is typical for Southeast Asia and Sri Lanka. The spice is most popular in Thailand, Vietnam, Cambodia and on the Indonesian islands. In Thailand, finely ground fresh lemon grass is added to curry pastes (see coconut). Its fine fragrance goes well with poultry, fish and sea food. Vietnamese cookery, being much less spiced, makes use of lemon grass in several ways. A popular Vietnamese meal is bo nhung dam [bò nhúng dấm], often translated vinegar beef or Vietnamese fondue . At the table, each diner boils thin slices of beef in a vinegar-flavoured broth containing ample lemon grass. The beef is then, together with fresh vegetables and herbs (coriander, mint and Vietnamese coriander), wrapped in rice paper and eaten with spicy sauces based on fish sauce (nuoc mam [nước mắm]), lime juice, peanuts and chiles. This recipe demonstrates the Vietnamese preference for communal foods (prepared together at the table), for wrapped bits of food and for fresh herbs. 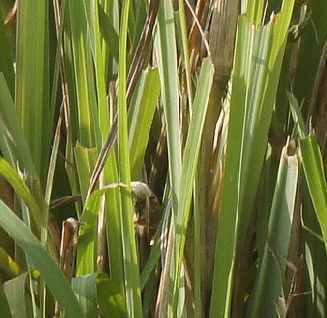 Lemon grass is also used for Vietnamese curries, see rice paddy herb. In Indonesia, the term bumbu (spelled boemboe in Dutch) refers to mixtures of ground fresh spices, whose com­position is unique for every single dish. In Bali, they are called jangkap (see Indo­nesian bay-leaf for details). Bumbu is made by grinding spices together in a mortar: Onions provide the background, and garlic, chiles and nuts (most popular is the Indonesian kemiri, also known as candle nut) are rarely missing. Further common ingredients are greater and lesser galangale, turmeric, ginger, kaffir lime leaves, Indonesian bay-leaves and lemon grass. Dried spices are of minor importance, although coriander and black pepper are occasionally mentioned, and some recipes even employ nutmeg or cloves. On Jawa and Bali, toasted or fried trassi (shrimp paste) is never omitted. Bumbu is used either raw or having been stir-fried for a few minutes. Often, veg­etables are simply cooked in a little water, stock or coco­nut milk to­gether with bumbu; meat, on the other hand, is more fre­quently rub­bed with bumbu and fried or broiled (e. g., sate, the famous skewers; see lesser galan­gale for an­other ex­ample). Gravies can be intensi­fied by adding one or two table­spoons of bumbu before serving. Bumbu dissolved in meat broth makes the basis for most Indonesian soups (e. g., the ubiquitous chicken soup soto ayam) and also for Malaysian laksa (see Vietnamese coriander). Lastly, fried bumbu can be used as a condiment. Further information on the cuisines of Indonesia can be found at Indonesian bay-leaf and lesser galangale (Bali), greater galangale and Sichuan pepper (Sumatra), coconut (Sulawesi), tamarind (Jawa) and mango about the pan-Indonesian fruit salad rujak. 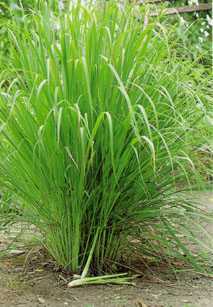 The pleasant aroma of lemon grass is never dominating; it can be substituted by lemon balm (though it is, of course, not the same), but not by lime fruits, kaffir lime leaves or lemon myrtle, which are much more dominant.